The Missouri Department of Transportation has developed a program that encourages innovation from the grassroots level all the way to the top. Called Innovations Challenge, it rewards employees for innovations in three categories: tools and equipment, projects and productivity. Innovations from a better way to bolt on a string trimmer head to a method for raising a bridge in St. Louis have won awards under the Innovations Challenge program. The goals of today’s Innovations Challenge program support the direction of the department: keep roads and bridges in the best condition possible for as long as possible, keep employees and customers safe, and provide outstanding customer service. From 2006 to 2012, the department ran a single program for tool and equipment innovations. A second challenge began in 2012 for projects and productivity innovations before the two were combined into the Innovations Challenge program in 2013. In 2014, for the third consecutive year, each of the seven districts and the central office had at least one best practice approved by the judges. A total of 28 new best practices had been approved by the end of the year, and 20 more were still being evaluated. “The hotbed of innovation for the past year was the central office, which claimed a total of seven best practices,” said Dickson. The competition for Missouri DOT innovations starts at the district level. The challenge is open to all full-time employees, and all innovations must be in use. Innovations are judged on originality, transferability, conservation of resources and organizational impact. Each district and the central office can select as many as six submissions in each of the three categories as first-round winners for a total of up to 18 per location. First-round winners receive $75 per person or a maximum of $450 per team. 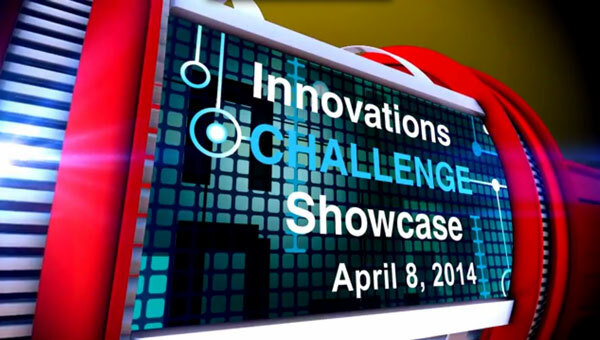 Next, district and central office coordinators choose as many as 60 innovations to compete at the Innovations Challenge Showcase, a one-day event held in Springfield. District and central office judges select up to four innovation showcase winners per category at the showcase. Showcase winners earn $425 per individual or a maximum of $1,550 per team. Plus, a panel of judges selects one innovation to receive the Director’s Safety Award along with a traveling trophy. The 12 showcase winners are automatically entered into the Missouri DOT’s database for best practices. That leaves 48 other innovations that are examined for eligibility to become best practices by a senior management team along with technical experts in the appropriate disciplines. 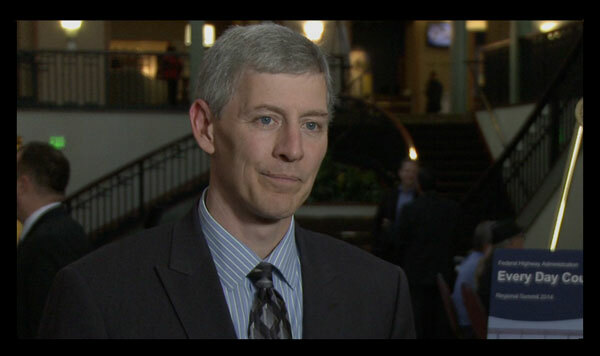 “We have a dialogue on which of those need to percolate to the top and become statewide best practices,” said Dickson. Up to two innovations per category may be identified as statewide best practices. Those earn an extra $10,000 for the district or division budget. Showcase visitors vote for their favorite innovations, and the top vote getter receives the People’s Choice Award trophy. One idea that won a 2014 Best Practices Award is a GroupCast method for communicating with a widespread group of people simultaneously. “Using the Internet, you can send a mass notification through texts, voice mail and email all at the same time. We can use it during a snow emergency. We have 56 operators on different shifts and now they don’t have to make separate phone calls. They can designate which parts of the distribution group need to get what text. It is pretty slick,” said Dickson. California Department of Transportation Director Malcolm Dougherty, South Carolina Transportation Secretary Janet Oakley, Oregon Department of Transportation Director Matthew Garrett and other leaders talk about the value of innovation in a new Federal Highway Administration video. They were interviewed during the Every Day Counts summits held last fall to introduce the EDC-3 innovations FHWA is promoting in 2015 and 2016. The Pennsylvania Department of Transportation is using an unusual dual roundabout solution to reconstruct two intersections near each other in an area of Washington County undergoing commercial and residential growth. The new design reduces the number of turning conflicts between Routes 519 and 1055, reducing the potential for crashes. Not only does the design enhance safety, it also has the smallest impact on environmental and cultural resources of all the alternatives studied. The Colorado Department of Transportation finished the pilot phase on a new environmental assessment template, part of its effort to pursue implementation of quality environmental documentation. Intended for use on environmental assessments that analyze only one build alternative, the template is designed to reduce document size. The agency piloted the new format on three projects to develop environmental assessments that averaged 57 pages, compared to an average of 162 pages for traditional environmental assessments done in the past four years. Construction is underway on the Sarah Mildred Long Bridge replacement project, being built with the construction manager/general contractor method. The $158.5 million project, which received U.S. Department of Transportation TIGER funds and an Accelerated Innovation Deployment Demonstration grant, is a joint venture of the Maine and New Hampshire Departments of Transportation, with the Maine agency serving as the lead. It’s replacing a 70-year-old truss with a movable lift span that carries traffic between Kittery, Maine, and Portsmouth, New Hampshire. The Virginia Department of Transportation is using the design-build method to deliver major projects successfully. Its recently completed I-95 Express Lanes project in northern Virginia was a design-build public-private partnership project that opened to traffic ahead of schedule. The Elizabeth River Tunnels project, the largest highway project in Virginia, is using design-build and a public-private partnership to implement numerous improvements in the Hampton Roads area. Roads & Bridges magazine named it the number one roadway project of 2014. The Chehalis-Western Trail “Bridging the Gap” project in Olympia, Washington, demonstrates that roundabouts aren’t just for cars. The project includes the state’s first-ever bicycle roundabout, built to enhance safety at the intersection of the Chehalis-Western and Woodland Trails. The project provides for a bridge across Pacific Avenue to close the last gap of the Chehalis-Western Trail from Yelm Highway to Woodard Bay. The Thurston Regional Planning Council opened the final leg of the project in late 2014. More than half of the country’s state highway agencies are exploring the use of 3D engineered models to more effectively connect a project’s design and construction phases. Several have made it a mainstream practice. But the highway community can get even more out of the technology by using 3D models and the digital geospatial data that support them in other phases of the project delivery cycle to positively affect safety, project costs, contracting, maintenance and asset management. That’s why the Federal Highway Administration included 3D engineered models—part of the second round of the Every Day Counts initiative—on the EDC-3 roster of innovations it’s promoting in 2015 and 2016. Improved project management: 4D modeling helps stakeholders visualize construction over the life of a project and identify potential conflicts. More accurate cost estimates: 5D models enable stakeholders to evaluate costs and model cash flow for each construction phase. A living record throughout the project life cycle: Once a 3D model is built, it can be used for continuing maintenance, management and planning. Safe, efficient data collection: New survey tools and technology allow vast data sets to be captured safely and in less time. “When different parts of an organization pool their resources on a consolidated approach to acquiring data, they’re able to leverage economies of scale and capture a richer data set, which lets them have more information to inventory and manage their assets,” said Maier. The transportation industry started building 3D models to develop highway designs as far back as the 1990s, Maier said. Since automated machine guidance became popular 15 years ago, 3D models have been used to control road-building equipment. During EDC-2 in 2013 and 2014, FHWA encouraged state agencies to apply 3D engineered models to construction. “The benefits of 3D modeling are really broad because it touches everything we do. It describes the physical shape of this thing that we’re building or maintaining,” Maier said. More than half of state transportation departments have tried 3D modeling for highway projects, from planning and surveying to design and construction. 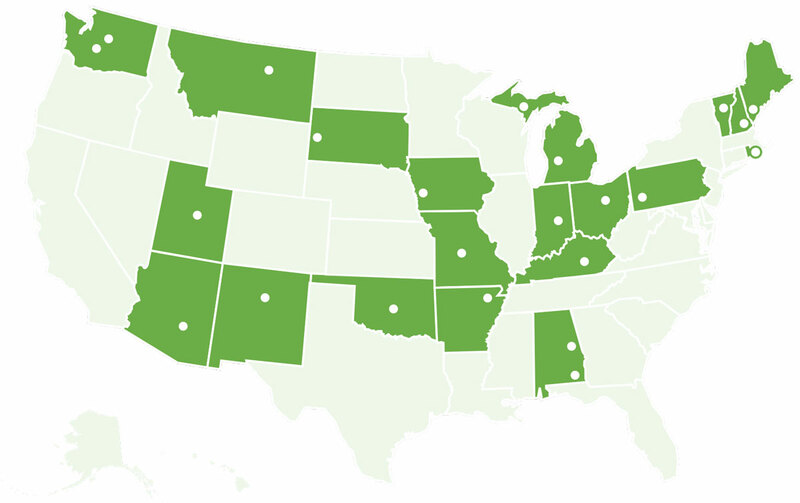 Among the agencies that have established mature practices are California, Iowa, Kentucky, Missouri, New York, Oregon and Wisconsin. More than half of states also use lidar—laser-based technology that creates 3-D representations of landscapes—for data collection. The Tennessee and New York State Departments of Transportation, for example, use lidar to collect geospatial data and create base maps for ground features and infrastructure assets. Highway agencies have used 4D models to deliver both large and small projects. Major projects that incorporated 4D modeling include the San Francisco–Oakland Bay Bridge East Span replacement in California, the Alaskan Way Viaduct replacement in Washington and the I-95 New Haven Harbor Crossing corridor improvement project in Connecticut. The 3D Engineered Models Web page features information on upcoming workshops, case studies, technical briefs, specifications and standards. Free web-based training on 3D engineered models for construction focuses on topics of interest to new users of the technology. It includes four two-hour modules that viewers can access at their convenience. A recording of the EDC-3 summit session on 3D modeling also covers 4D and 5D modeling, tools and case studies. Stakeholder partnering brings local public agency representatives together with state and federal colleagues to improve and streamline the Federal-Aid Highway Program delivery process. The result? Smarter, faster delivery of local projects. After promoting formation of stakeholder partnering groups in the second round of EDC, the Federal Highway Administration is continuing the effort in EDC-3. Stakeholder partnerships, now active in many states, are groups that meet regularly to identify program-level issues and review project development processes. They work on solutions through a defined decision-making process and action plans. Stakeholder partnering also increases consistency by establishing a cooperative environment for reviewing and refining project development compliance requirements and policies for use across a state. And it provides a launching platform to initiate process enhancements, training and other ways to improve program integrity. An example is the Virginia Department of Transportation’s stakeholder partnering effort, which spans more than a decade and includes several groups associated with local programs. One is the Urban Construction Initiative Group, which formed when a state code change in 2003 allowed some municipalities to manage their construction programs. It now includes 14 localities. Besides giving members a voice in the state’s local assistance program, the UCI Group has come up with several streamlining solutions, including a certification program, a project development review time line and changes in the Virginia DOT’s sole source and proprietary projects process. Stakeholder partnering enhances success for local agencies, which administer 20 percent of the projects funded each year under the Federal-Aid Highway Program. Building on the success of the UCI Group, the Local Assistance Division started another effort in 2012 to represent the entire local agency program. The Local Stakeholder Partnering Group—with participants from 13 localities and FHWA—helps ensure that the division’s efforts align with local government needs and provides a feedback loop on new initiatives. The Florida Department of Transportation formed its Local Agency Program Community of Practice in 2010 when American Recovery and Reinvestment Act funding increased the use of local agency contracts to deliver Federal-Aid projects. Before that, it had one-on-one partnerships with local agencies. The Community of Practice includes representatives of local agencies, the Florida DOT, the Local Technical Assistance Program and FHWA. Its purpose is to identify where project development and implementation processes can be streamlined to ensure consistency across the Florida DOT’s seven districts. One benefit is better communication. The group provides Florida DOT staff with an opportunity to explain the reasons behind program requirements and offers local agencies a forum to question why the state asks for some of the things it does. That feedback has enabled the Florida DOT to identify areas where local agencies could use more flexibility in meeting federal requirements. If the Florida DOT is adding requirements on top of federal ones, said Kurt Lieblong, state project review administrator, “we can look at our processes to see if there are possible ways to ease some of the burden” on local agencies. Why create a stakeholder partnership? The EDC-3 team provides technical assistance to help highway agencies learn from the experience of states that have institutionalized stakeholder partnering successfully. That way, a state can adopt the approach quickly and reap the benefits sooner, Smith said. A recording of the EDC-3 summit session on stakeholder partnering covers benefits and examples of how states are using it. Agencies interested in pursuing stakeholder partnering can contact the FHWA division office in their state. More transportation agencies are taking advantage of opportunities to adopt innovations to improve their practices through the Federal Highway Administration’s Accelerated Innovation Deployment Demonstration program. The latest crop of AID Demonstration projects feature a range of innovations—from innovative bridge-building methods to safety-enhancing pavement treatments to transportation asset management planning. “The states and local communities receiving these AID demonstration grants are breaking ground when it comes to putting better techniques in road- and bridge-building in place,” said Acting Federal Highway Administrator Gregory Nadeau. Under the program, incentive funding of up to $1 million per project may be awarded for projects that use proven innovations for any aspect of highway transportation, including planning, financing, environment, design, construction, materials, pavements, structures and operations. Applications are accepted on a rolling basis through Grants.gov. Among recent AID Demonstration incentive recipients is the Arizona Department of Transportation, which plans to use its grant to replace antiquated lighting with a light-emitting diode system in the Queen Creek Tunnel in Superior. The project is expected to improve safety and efficiency on U.S. 60. A grant to the Arkansas State Highway and Transportation Department and city of Jonesboro will help the city use geosynthetic reinforced soil-integrated bridge system technology on a bridge replacement project. Experience gained on the project will help the city adopt GRS-IBS as a standard practice to cut costs and improve delivery times on bridge projects. The Assiniboine Sioux Tribes in Montana and Wyoming will use funding on a multiyear effort to improve the tribes’ geographic information system infrastructure. The tribes plan to accelerate the use of Global Positioning System data with technologies such as intelligent compaction and 3D engineered models. The Indiana Department of Transportation will use its grant to determine which accelerated bridge construction innovation to apply when it replaces twin interstate bridges. It will develop a template and best practices for using alternate-bid detailed plans for both self-propelled modular transporter installation and slide-in bridge construction. The Kentucky Transportation Cabinet will build a roundabout to improve the capacity of and address safety challenges at an intersection in London. The project will help the agency gain the experience necessary to institutionalize the use of roundabouts at safety-critical locations when appropriate. The Michigan Department of Transportation will use its funds to replace the U.S. 131 bridges over 3 Mile Road using slide-in bridge construction. The agency wants to minimize the project’s impact on a major route that links cities in southern Michigan with resort areas in the north. The Michigan DOT is partnering with the Dickinson County Road Commission to use a grant to apply hot in-place recycling and energy-saving warm-mix asphalt to rehabilitate a 4.5-mile roadway section in Kingsford. Crews plan to recycle 100 percent of the existing pavement on the environmentally friendly project. The Missouri Department of Transportation is using a grant to apply high-friction surface treatments on seven projects in the state. The project will enable the agency to promote the treatments—which can reduce crashes at safety-critical locations such as intersections and curves—to local agencies. A New Hampshire Department of Transportation project involves applying an asphalt rubber bonded wearing course as a pavement preservation technique on part of I-93 in Manchester. The treatment—which uses ground tire rubber in a hot-mix asphalt binder—is designed to address surface distress and add to pavement life, extending the time until more extensive work is needed. The Ohio Department of Transportation and the Northeast Ohio Areawide Coordinating Agency will collaborate on a comprehensive transportation asset management program. The effort is designed to address a project backlog and encourage informed, cost-effective program decisions. The Ohkay Owingeh Tribe will use GRS-IBS abutments and prefabricated bridge elements to replace the White Swan Bridge in New Mexico. To maximize cost savings and promote economic development, the tribe plans to train local staff in using the technologies to reconstruct other bridges in its inventory. The Rhode Island Department of Transportation will use innovative arch construction, also known as bridge-in-a-backpack, to replace two bridges in Coventry and Burrillville. The project will give the agency experience using a new method to build small bridges rapidly and produce structures with an extended service life. The South Dakota Department of Transportation plans to use its grant on high-friction surface treatments to improve driver safety on four horizontal curves, two near Deadwood and two in Sioux Falls. The project’s goal is to cut roadway departure crashes at the curves by at least 25 percent. The Utah Department of Transportation is using funds to implement a program that uses new technology to reduce speed limits in work zones. The goal of the project—which involves using, collecting data on and monitoring the performance of portable variable speed limit signs—is to improve safety for workers and travelers. For information on the AID Demonstration program, contact Ewa Flom at (202) 366-2169.